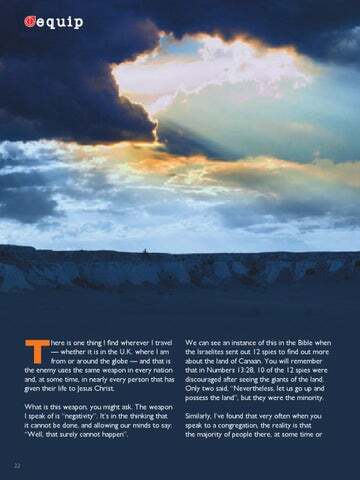 here is one thing I find wherever I travel — whether it is in the U.K. where I am from or around the globe — and that is the enemy uses the same weapon in every nation and, at some time, in nearly every person that has given their life to Jesus Christ. What is this weapon, you might ask. The weapon I speak of is “negativity”. It’s in the thinking that it cannot be done, and allowing our minds to say: “Well, that surely cannot happen”.